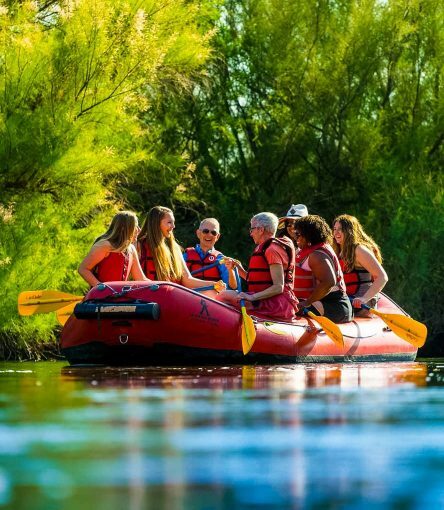 Float down the Lower Salt River on our guided rafting trips and discover a scenic and relaxing desert oasis just outside Phoenix. Swim and water fight or just relax on the river and soak in the scenery ‐ our most family friendly activity has options to please everyone. 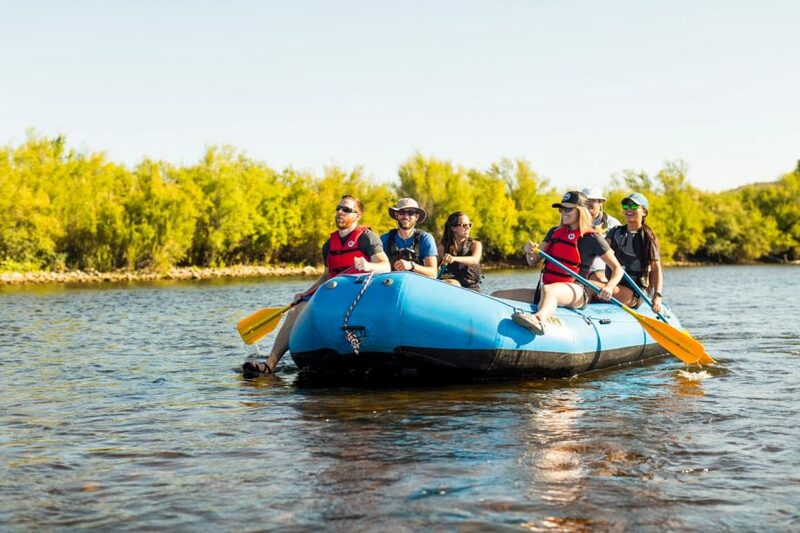 This tour is NOT white water rafting but rather a casual float trip that provides an unique perspective on the Sonoran Desert. 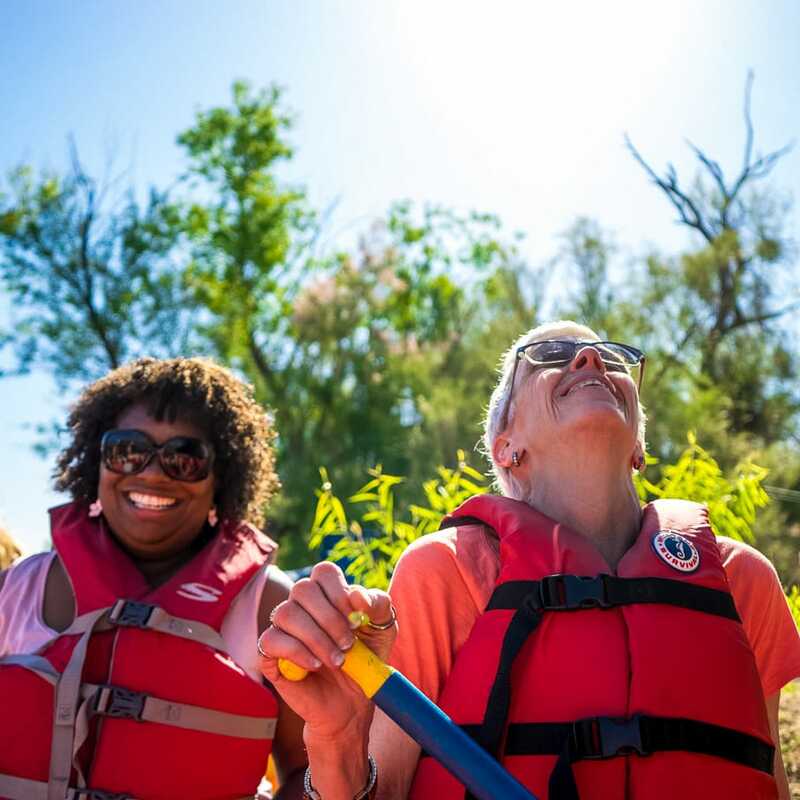 A little paddling is required, but your guide will steer the boat and provide fascinating information about the surrounding Sonoran Desert. A reliable source of water, the Salt River attracts a variety of wildlife, making it common for us to enjoy close encounters with animals in their natural habitat. If you are looking for a Grand Canyon Rafting trip, we recommend Arizona River Runners. Comfortable, weather appropriate athletic clothing – shorts and a t-shirt, bathing suit, on cooler mornings long sleeves are advised. We recommend bringing a dry change of clothes for after your rafting trip. 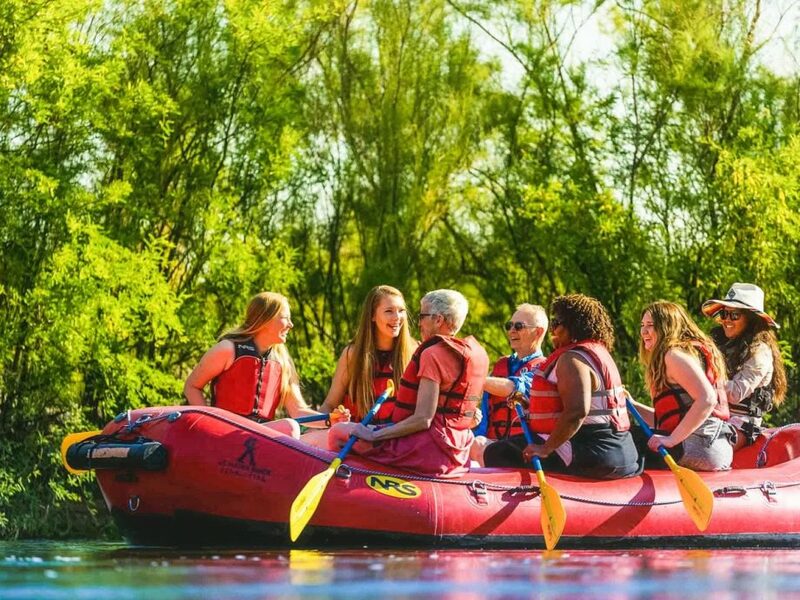 Once you’ve booked your half-day rafting tour, you will receive a booking confirmation email with details on the time and date of your tour, where to meet, the cancellation policy, a receipt of your tour purchase, and requests from us if we need additional information. Inquire over the phone about meeting at our Mesa location. You can expect to be with another group on your rafting tour unless you have booked a private tour. 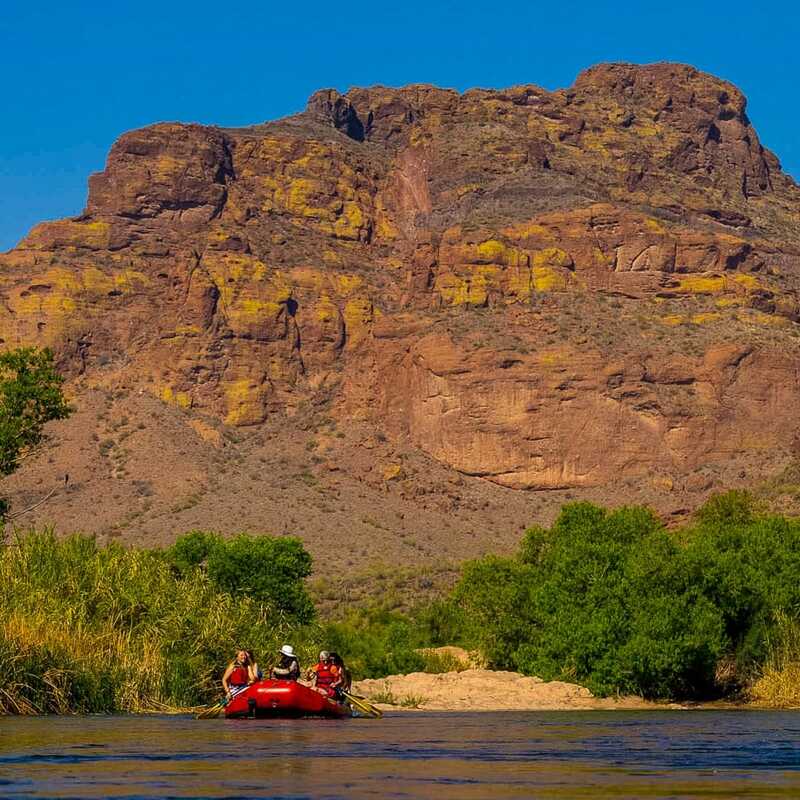 All of our regularly scheduled guided Salt River rafting trips take place near Phoenix on the Lower Salt River in the Tonto National Forest. The Salt River is scenic, Class I (the easiest rating on the international scale of river difficulty) and provides some of the best wildlife and bird watching opportunities in the Southwest. Water flow on the river varies seasonally, based on this we choose from a number of put‐in/take‐out locations in order to ensure our guests the best river rafting experience. Water temperatures are in the 60s in the winter and rise to low 80s in the summer months. Swimming is possible year‐round, but the water may be chilly in January! Tours typically last about 4 hours. 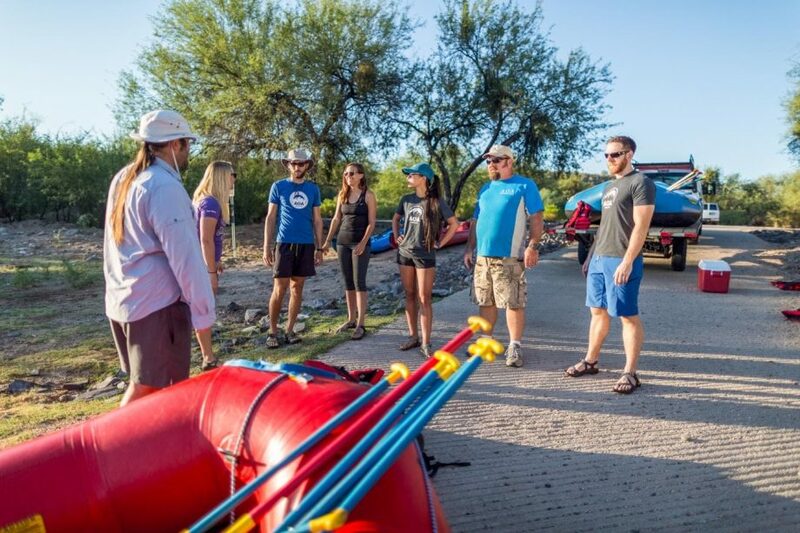 Rafting tours are available on Tuesday, Thursday, and Saturday mornings and commence at 7:30am at AOA’s office in North Scottsdale and travel 35 minutes to our tour location just outside the eastern metro area. AOA transports all equipment to and from the river and provides water and snacks for the duration of the tour. Light paddling is required, but your experienced rafting guide will do most of the work! This is a fun thing to do for couples, friends, or families visiting Arizona. If you are staying in the east valley, please call our office if you would like to meet at an alternate location of greater convenience.